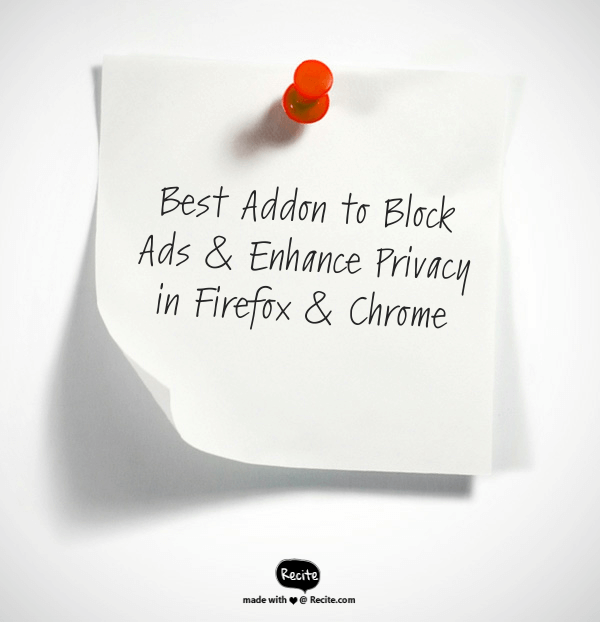 Recently I have Used uMatrix Addon to Block Ads & Enhance Privacy in Firefox Browser.This Security Addon has Enhanced ad blocking and privacy features that automatically disrupts Tracking Scripts & Macros of Websites.I have Detailed Top Firefox Addons to Enhance Privacy in my Earlier Post.In this Post,i Will Show you the Install,Point & Forget Method to Enhance Privacy. uMatrix put you in full control of where your browser is allowed to connect, what type of data it is allowed to download, and what it is allowed to execute. Nobody else decides for you: You choose. You are in full control of your privacy.Out of the box, uMatrix works in relax block-all/allow-exceptionally mode, meaning web sites which require 3rd-party scripts are likely to be “broken”. With two clicks, uMatrix can be set to work in allow-all/block-exceptionally mode, which generally will not break web sites. See ALL the remote connections, failed or attempted, depending on whether they were blocked or allowed (you decide). A single-click to whitelist/blacklist one or multiple classes of requests according to the destination and type of data (a blocked request will NEVER leave your browser). You do not have to solely rely on just one particular curated blacklist (arguably with many missing entries) outside which nothing else can be blocked: You are in full control.